A RUP LIFE: Gluten-Free Quinoa Cookies Guest Recipe Post! 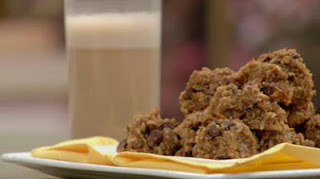 Gluten-Free Quinoa Cookies Guest Recipe Post! BONUS: Click HERE for the full video demonstrating this recipe, as well as an extra Chai Tea Latte recipe to go with the scrumptious cookies you just made! In the U.S., the Veria Living network is primarily available to Cablevision/Optimum (Channel 164), DISH Network (Channel 218) and Verizon FiOS (Channel 162) subscribers, on GCI (Channel 142 in SD and Channel 738 in HD), on RCN systems in several markets around the country, and on WOCK-CD Channel 13.3 in Chicago (Comcast Channel 389).